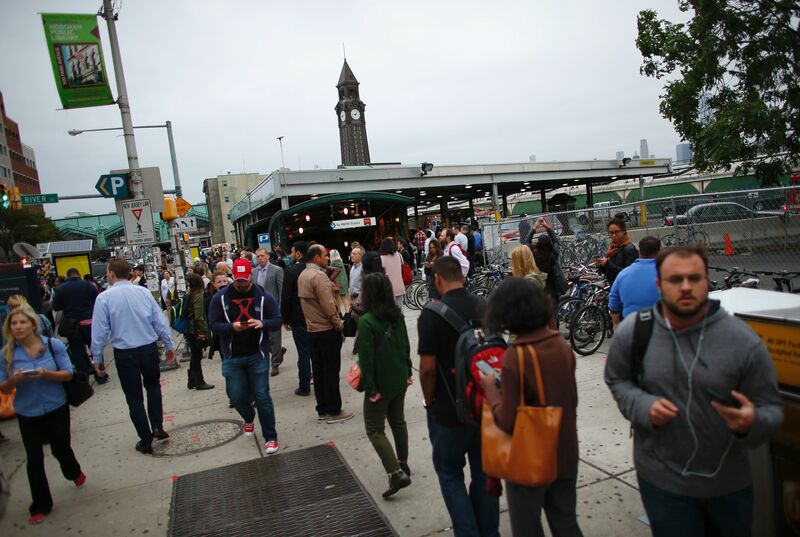 How Many People Use The Hoboken Train Service Every Day? A commuter train crashed into a Hoboken, New Jersey, station just before 9 a.m. ET on Thursday, injuring as many as 100 people and killing at least one person, reports NBC News. It's unclear how many were train passengers versus on the platform when the train crashed. According to ABC news, some passengers may still be trapped in the station. The 1614 train on NJ Transit's Pascack Valley line, departing from Spring Valley, reportedly failed to stop when it reached the Hoboken station at 8:45 a.m., crashing into the terminal and platform, reports NBC News. While it's unclear exactly how many people were at the Hoboken station during this horrific event, it's likely there were a lot of passengers involved since it was right at rush hour. It's estimated that 308,523 passengers use New Jersey Transit trains during their commutes every weekday, and according to NJ Transit, 15,001 people board at the Hoboken Station daily, making it one of the busiest stations in the area. According to NJ Transit, the rail service in and out of Hoboken is currently suspended due to the incident. HBLR and PATH are also suspended into and out of Hoboken terminal. NJ Transit bus, private carriers, and ferry services will be cross-honoring NJT rail tickets and passes.